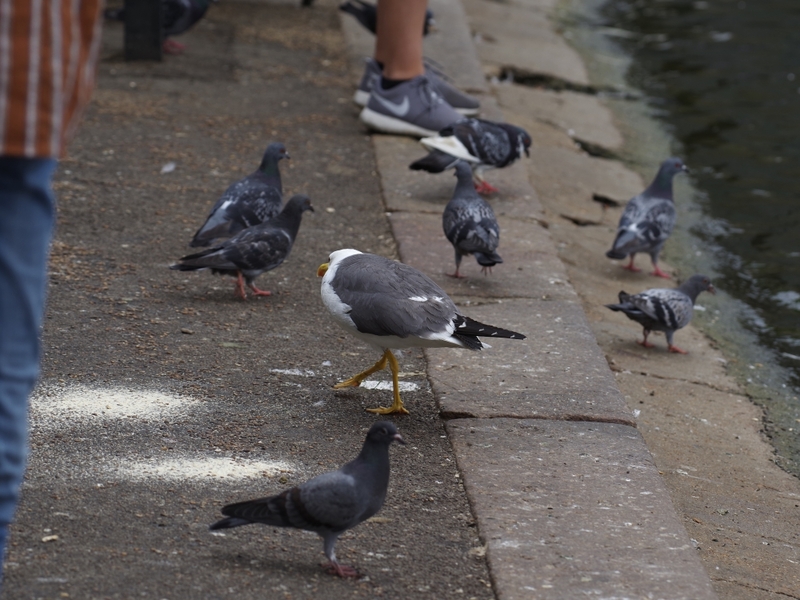 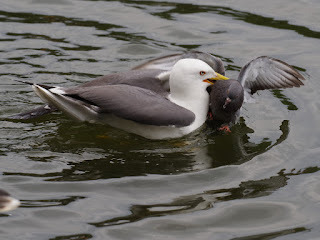 The notorious pigeon-eating Lesser Black-Backed Gull was stalking in the middle of a crowd of people, which he generally avoids. 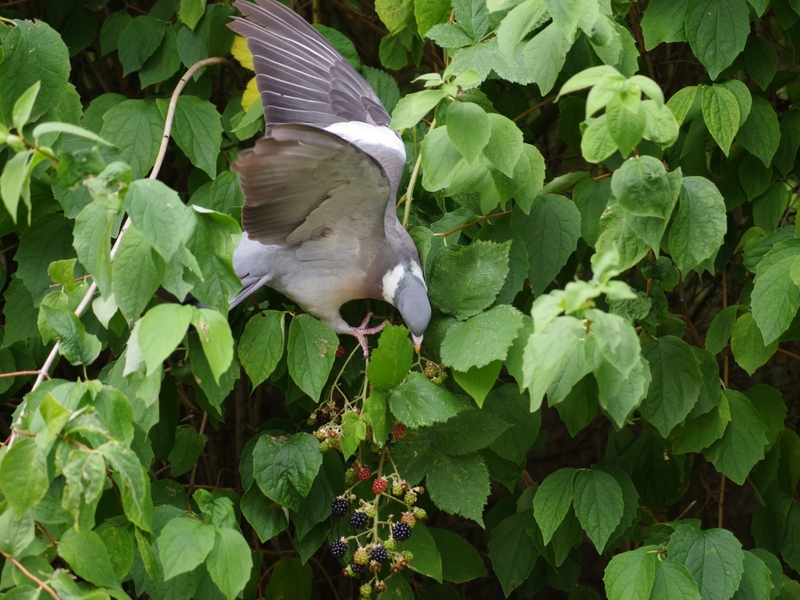 Perhaps he has realised that it's easier to catch a Feral Pigeon on the ground when takeoff is obstructed. Sure enough, he emerged holding a pigeon, and dragged it into the water. 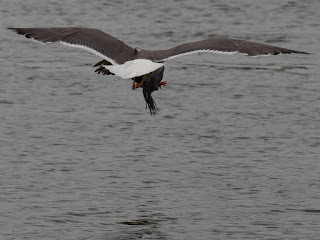 ... and killed it in the middle of the lake. I photographed this as still pictures, because I had the big camera in my hand. But now I had time to switch to video to record the unfortunate pigeon's last moments. The Grey Herons were in their nest with their two chicks. 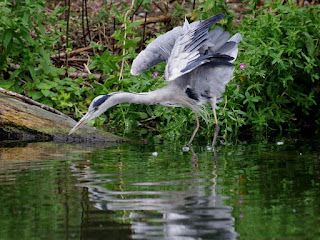 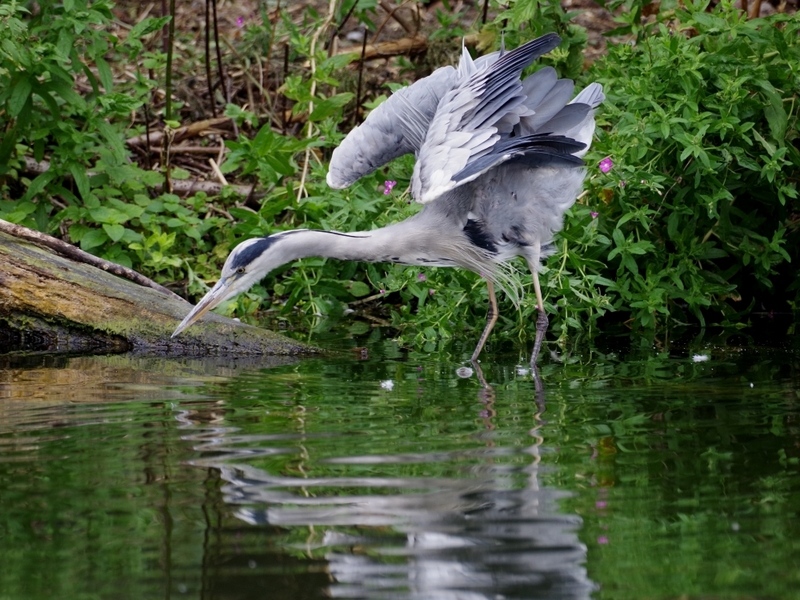 One of them flew down to look for a fish for them. 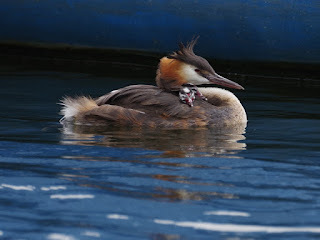 The Great Crested Grebe family on the Serpentine were under the moored pedalos. 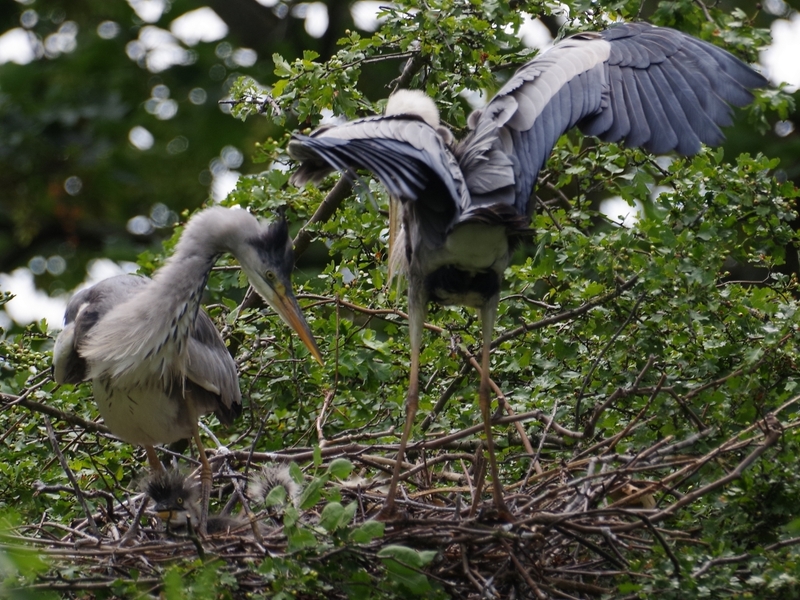 Two of the chicks looked out from the shelter of their father's wing. Two more pairs of grebes have flown into the Serpentine. 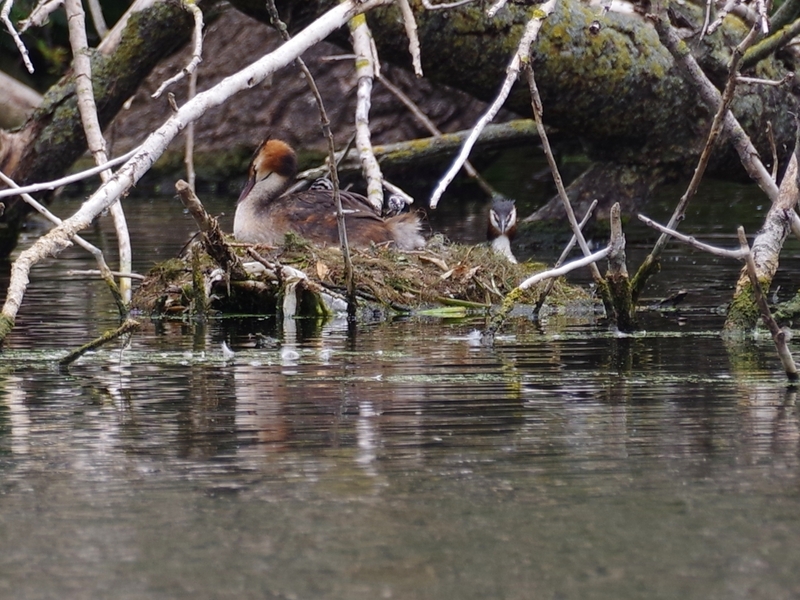 It's not too late for them to breed if they can find a nest site. 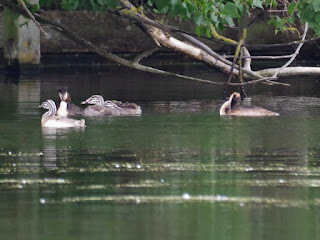 The two families on the Long Water were visible, though both had to be viewed from across the lake. 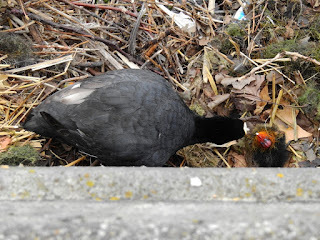 Only one Coot chick remains in the nest at the Serpentine outflow, the others having literally gone down the drain. 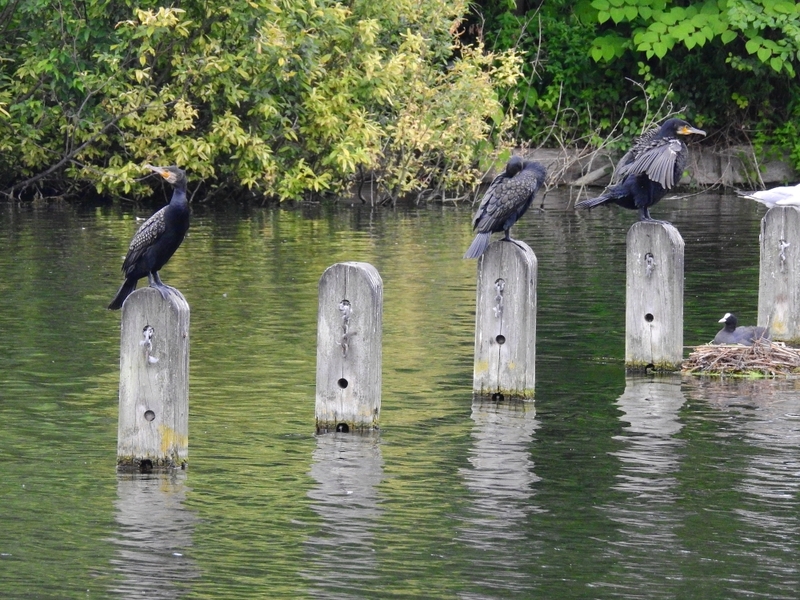 The Coot nesting in an equally futile place at Peter Pan looked up at three Cormorants on the posts. The six Tufted Duck chicks have grown a bit, though they are still tiny. 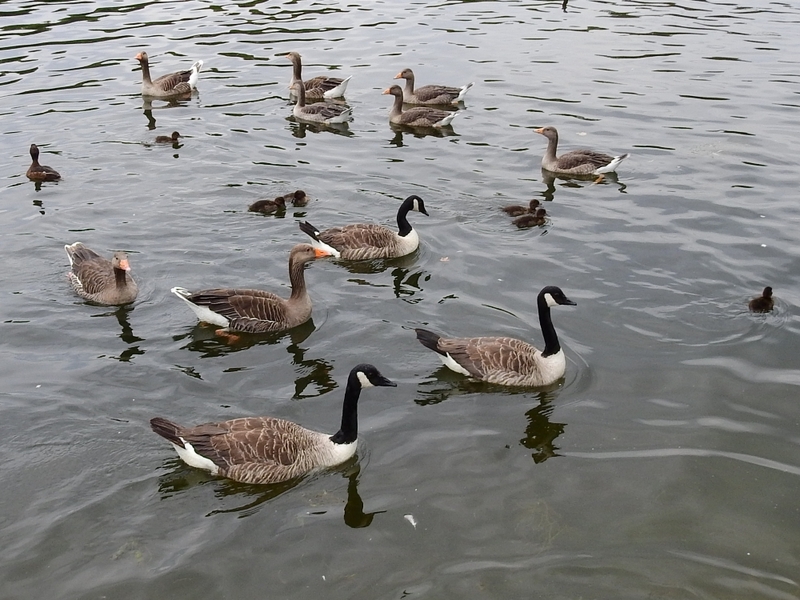 They saw someone with a bag of bread and came over to share the unhealthy treat. 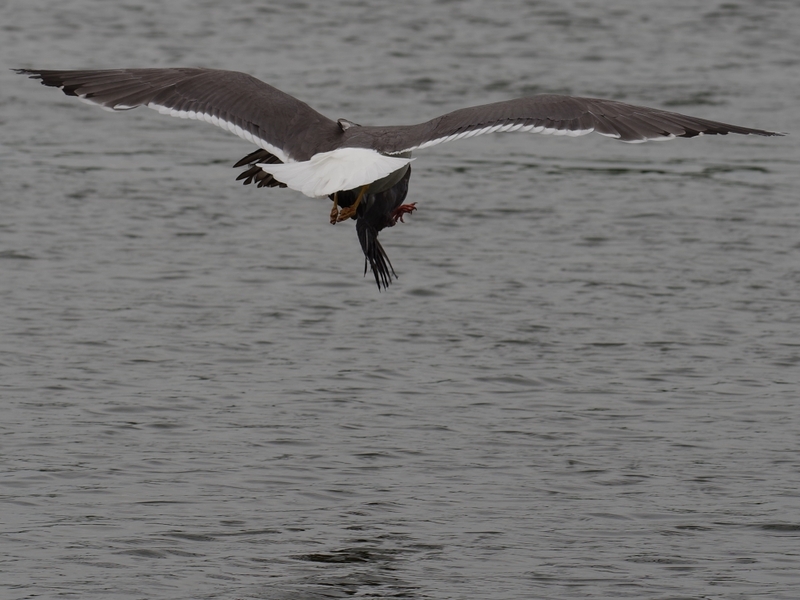 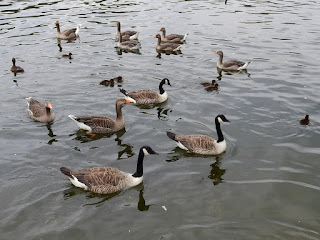 Some Greylag and Canada geese passed through the family. Neither took the least notice of the other. 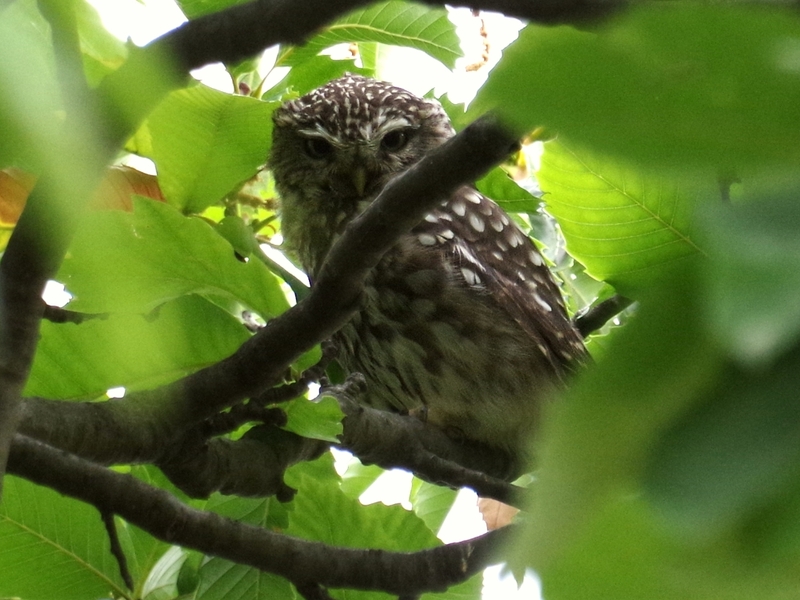 The male Little Owl near the leaf yard was in his usual chestnut tree, almost hidden by the leaves. A Wood Pigeon tried to climb down a bush to reach some blackberries. 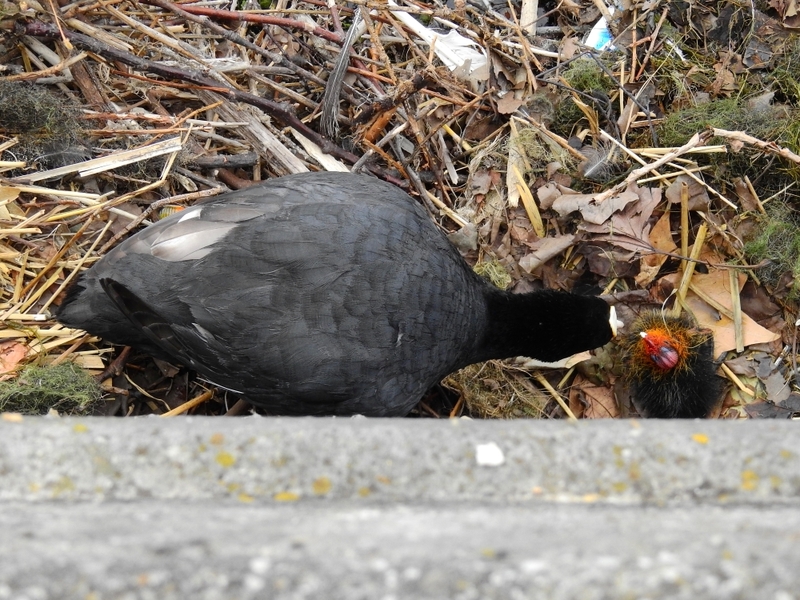 A second after I took this picture it fell off and crash-landed on the path. 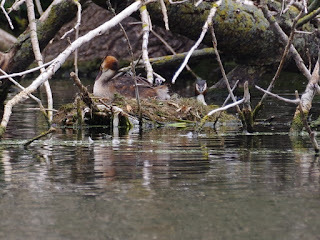 I never tire of seeing pictures of Grebe families. It makes me think, for an instance, that everything is well with the world. 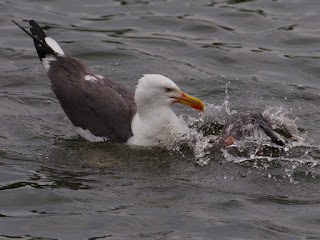 Oy, Pigeon Killer doing what it does best.